Check out this blend of card battle, RPG, and strategy elements! Assassin's Creed Memories is a brand new free-to-play mobile title for iPhone, iPad, and iPod Touch that blends card battles, RPGs, and strategy elements as players delve deeper into the Animus. Explore locations like Colonial America and Renaissance Italy, as well as feudal Japan and imperial Mongolia for a different take on the Assassin's Creed series as you hunt boss targets, collect new gear, and earn ally cards. Cards may be collected from three different categories: Armor, Allies, and Weapons, which can build the attack and defense stats of characters as well as alter the look of your assassin. There's also a multiplayer mode that allows for 20 vs 20 player guild battles, in which you can customize your own assassin team to eliminate the other players. 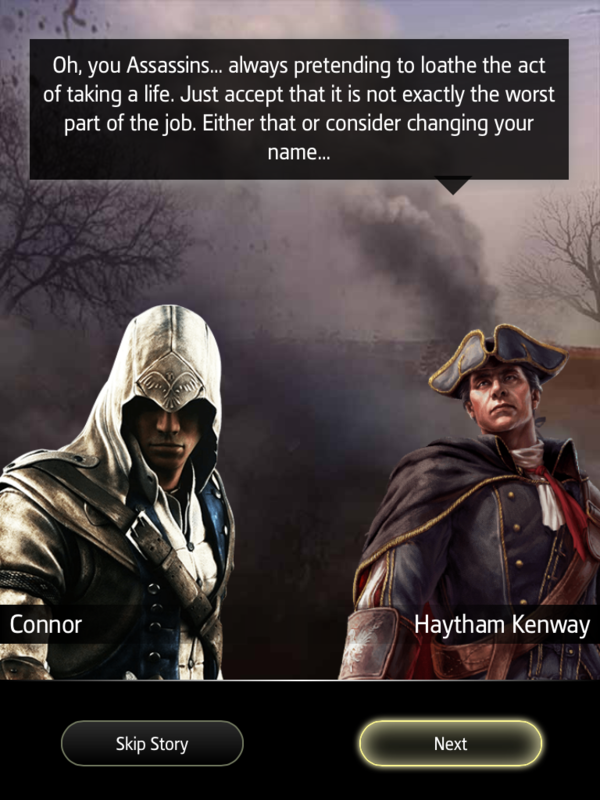 Check out Assassin's Creed Memories now and download it for free via the App Store.